PIERS 2016 Shanghai will be held in the Shanghai International Convention Center, which is located in the heart of Lujiazui –Shanghai's Financial and Trade zone, adjacent to the Oriental Pearl TV Tower and facing the multinational styles of architecture along the Bund across the Huangpu River. It enjoys superior geographical position, easily accessible from all parts of the city with modern transportations. Shanghai International Convention Center has high reputation both at home and abroad for holding large-scale international conferences and business forums. Located inside the Shanghai International Convention Center, Oriental Riverside Hotel is a 5-star hotel with fantastic Bund view. The hotel has 273 river-view deluxe rooms and suites. It has restaurants of different styles and diversified recreational and fitness facilities. Many important domestic and international conferences have been held here, including the Fortune Global Forum, APEC Leaders’Summit, and etc..
Hotel Reservation in PIERS Group Rates, with credit card guarantee for Oriental Riverside Hotel is available now. Lodging expense will be paid in the hotel check-in desk ONLY. This group rates include breakfast, tax and service fee. The number of rooms reserved is very limited. Room availability is on first-come first-serve basis. All guests are advised to book as early as possible before June 30, 2016 in this summer season. After this date, special group rate may be no longer guaranteeed. Any inquiry about hotel reservation, please directly contact the hotel via EMAIL (hotel@shicc.net), FAX (+86 (21) 5037 0999) or TEL (+86 (21) 5037 0000). Please feel free to contact PIERS OFFICE (office@piers.org), if you have any problem with hotel reservation. * Distance from the conference site: 600 m, about 6-8 minutes walking distance. * Hotel reservation linkage with PIERS group rate is available now. 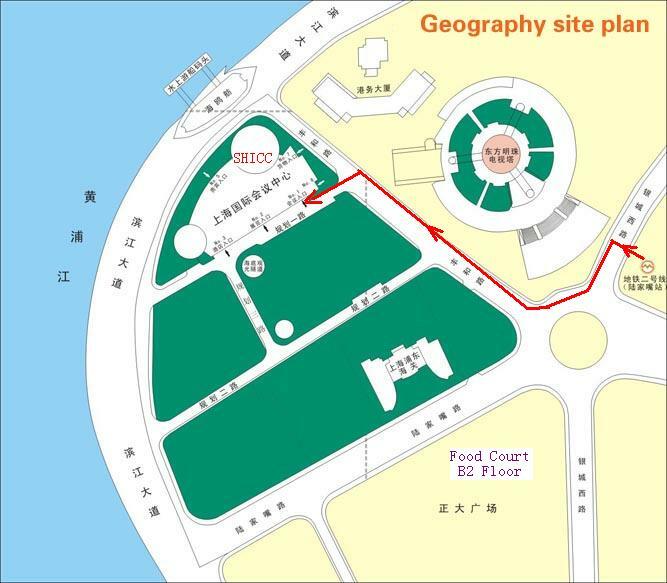 * Distance from the conference site: 4.5 km, about 15 minutes / CNY20 by taxi. Please download the hotel reservation form in Ocean Hotel Shanghai and by Fax or Email. Other hotels near the conference site, you can book hotel via www.ctrip.com, www.agoda.com, or other popular online booking systems. As the conference site is near the Metro Line 2, Lujiazui Station, you can either choose some hotel near the subway, or near the conference site. SHICC is near the Lujiazui Station of Metro line 2. The walking distance from Exit 1 of Lujiazui station to SHICC is about 500 m and 7 minutes. If by taxi, it takes about 55 minutes, 45 Km and RMB 160 from Shanghai Pudong International Airport to SHICC. If by Metro Line No. 2, it takes about 40 minutes. If by taxi, it takes about 35 minutes, 25 Km and RMB 100 from Shanghai Hongqiao High Speed Rail Station to SHICC. If by Metro Line No. 2, it takes about 40 minutes. SHICC is near the Super Band Mall. There is a food court in the B2 floor of Super Band Mall. The walking distance is about 500 m and 7 minutes. You can easliy find a lot of chinese and western food or fast food in this food court. There are also a lot of restaurants in this Lujiazui area near SHICC within the walking distance of 10 minutes. There are chinese noodles, Japaness noodles, Starbucks Coffee and other restaurants in this food court.